Congratulations to the winners: Alyssa (comment #89) and Wendy P (comment #55). I am really excited for today's giveaway! Because today's giveaway is all about chocolate. And I know we all love chocolate. But this is not your ordinary chocolate. Choffy is brewed chocolate. It’s 100% premium cacao beans roasted and ground for a rich, full-flavored drink that delights your senses while it nourishes your body. Think of it as bliss in a cup! What a cozy, delicious way to survive these dreary winter days! 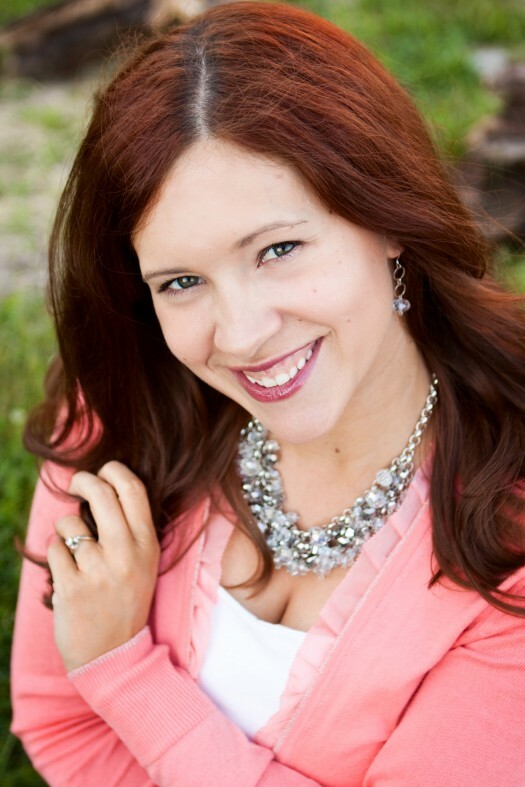 I want to introduce you to my friend Sarah McKenna, an independent distributor for Choffy. Sarah and I went to high school together, and she was also a teacher. Now she is a stay-at-home mom to a little guy who also happens to also be Little Man's age! She is the owner of her own Choffy business plus a jewelry business called Bombshell Bling. Talk about a busy, talented lady! Remember how I tried Choffy for myself?? It pretty much made my week during a particularly frigid week here in Colorado! If you would like to order some Choffy, contact Sarah at bombshellbling@gmail.com at any time. 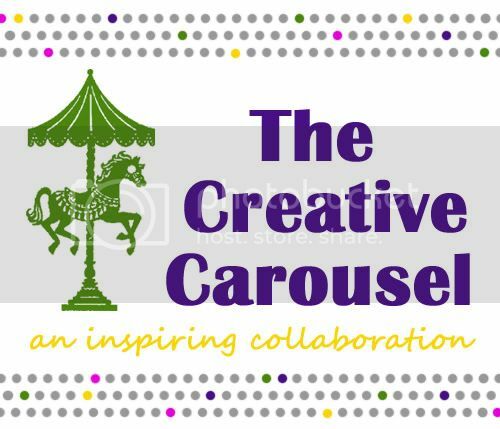 Or connect with Sarah through her Facebook page. I know many of you have been dying to try out Choffy for yourself. Today Sarah is generously giving away 2 bags of 12 oz. Ivory Coast Choffy (2 different winners)! Please leave a separate comment for each entry. For U.S. residents only! 1. Visit Sarah's Choffy page and let me know why you want to try out Choffy! For the health benefits? The yummy taste? The energy boost? Enter to win a bag of Ivory Coast Choffy--some yummy brewed chocolate! 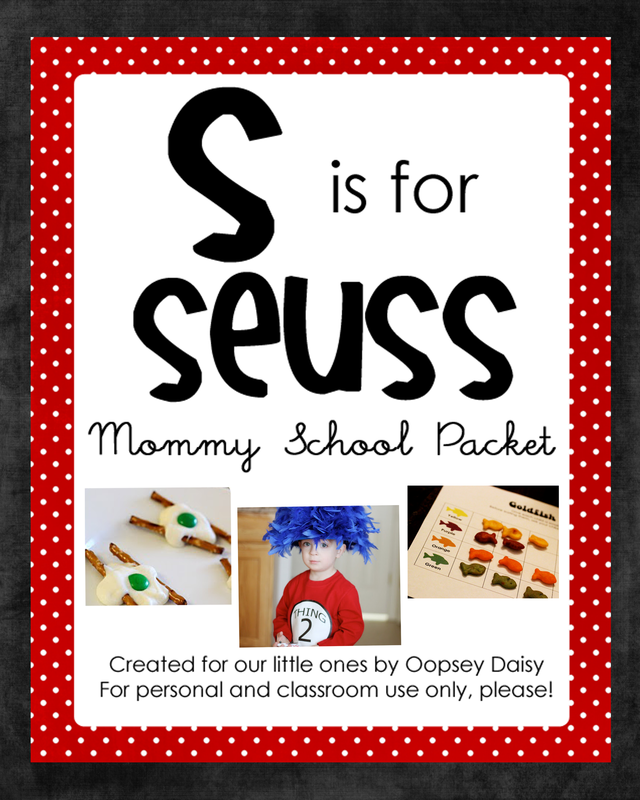 http://bit.ly/AsA8YX 2 winners here at this #giveaway at @OopseyDaisy917! 3. Follow Oopsey Daisy on Pinterest or let me know you already do. This giveaway will close next Wednesday, March 7 at 11:59! I would love to have the great taste combined with the energy boost to get me going!! I would like to try Choffy for the chocolate taste and the extra boost for the mornings and maybe some afternoons too! I love hot chocolate, but this sounds so much better. I need a chocolate fix! I want to try it because it looks so so yummy! I love coffee, and I love chocolate! So I want to try Choffy because it is like a combo of my two favorite things! Choffy is intriguing! I’m wondering how it tastes different from hot chocolate. Also, I’m so interested in the antioxidant value. I’d love to try it out. Thanks for the opportunity! i want to try it for the YUMMY taste! I’m not a coffee drinker, so it would be nice to have a yummy warm drink in the morning other than hot chocolate. I would love to get the extra energy boost!! I love the idea of non-addictive energy, and who doesn’t love chocolate? What I would like about Choffy is that it isn’t like coffee but sill energizes you! I would love not to have jitters from coffee if all I need is a cup of Choffy! Plus…I am a chocolataholic! That is the ultimate benefit! I am a follower on Pintrest! Sounds like it might be tasty! I’d like to try some! I love trying new things and after reading your post on Choffy, I was excited to try some! 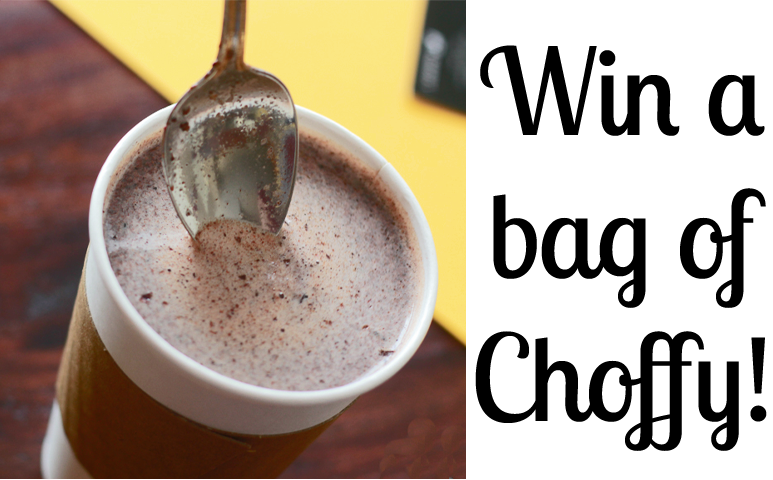 I love the idea of a healthy cup of cocoa that not only is good for you, but energizes at the same time! I’m interesting in trying it, because I’m curious about how it tastes. I love hot chocolate but not coffee. it sounds like a delicious alternative, I’d love to try it! I’m addicted to coffee, but would love to try Choffy as a less-caffeinated option for a yummy brewed drink. I love a good selection of beverages and I’d like to try Choffy to have one more sweet, chocolately variety on hand! The many health benefits of the chocolate are certainly a draw, but if I’m honest…it’s the chocolate! I follow you with Pinterest too…Thanks! I’ve actually wanted to try this for a while. All the benefits and the taste intrigues me. I love chocolate and would love a healthy alternative! I am not coffee drinker either so this sounds interesting. Hi Alison!! I have been following you on Pinterest for awhile now…love the mozzarella and tomato ‘cat in the hat’ hats!! I have been wanting to try Choffey for abt six months. I have been looking for a way to have more energy during the day without caffeine. And if it means drinking chocolate, I’m all for that. I tweeted about your giveaway! (@jenniferintexas) Thanks for the chance to win! I don’t drink coffee, but I love hot chocolate and tea. So I’d like to give this a try for it’s taste, and the healthy side too. I think I would like it for the taste. I’m trying to find something to replace plain old coffee! I would LOVE to try Choffy because I have been doing a 21 day clean, and have learned new ways of healthy eating. I would LOVE to try Choffy as a chocolate drink because that is one thing I have not been able to create a satisfying healthy chocolate drink yet. I appreciate the chance of winning regardless. Thank you so much! I am now following you on Pinterest, as well! I am very interested in energy support alternatives to caffeine. I have my eye on some Ivory Coast Choffy. The health benefits sound like it is worth a try! I love hot chocolate so the idea of a healthy, decaf, energy boosting version seems like bonus. I would love to try this product because I have heard such wonderful things about and want to see what it is all about! I’d drink it for the taste and the antioxidents! I would like to try choffy for the energy boost adm for the chocolate goodness! I would love to try Choffy. I have been a fan of drinking chocolate for years and this sounds pretty similar. It sounds like it has a ton of health benefits, so I would probably drink it in the mornings to alternate with my morning coffee. I am following you on Pinterest and love your site! My mother loves hot chocolate so I would give her the bag of Choffy if I win. Maybe for Mother’s Day or just because I love you day or Happy First Day of Spring Day! tracypulliam@uwmail.com. Thanks for the chance! I am curious about this. A lot of hot chocolate is simply too sweet for me (I think I have the opposite problem as you, Allison), and this would really hit the spot when it is cold! I can already picture putting in flavored coffee creamers to get different flavors! Sounds yummy. I would like to try Choffy because I don’t like coffee, but I certainly would like some energy to chase my three kids around all day! Plus it sounds delicious! I love the idea of an energy alternative to caffeine! I also like the idea of a brewed hot chocolate. I will do many things for chocolate including post. LOL! As a cancer survivor, I am all about healthier things these days and I would L*O*V*E to try some of this!! It’s healthy and yummy…win win!!! I think the real question is why wouldn’t I want to try Choffy? And I can’t think of a single reason. 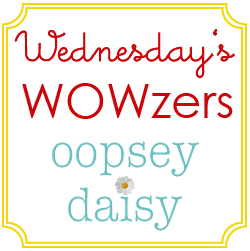 I follow Oopsey Daisey on Pinterest. i have been wanting to try this :)….for the chocolate + energy. I love chocolate but am really trying to eat better. So if it is healthy chocolate…I would love to try it! i want to try because i love chocolate! I would love to try choffy because I love coffee and I love chocolate! whoops put my comment on the wrong post! I love how it claims it has a natural energy boost! I might have to try it during those afternoons at work when all I want to do is take a nap! And chocolate? I’m totally in. I am completely intrigued! I drink coffee daily and would love a substitute. Awesome about the number of antioxidants in one 8 oz cup…would love to try it for that very reason. I’m am a lover of hot chocolate and I like my mochas too. This choffy stuff sounds like heaven! 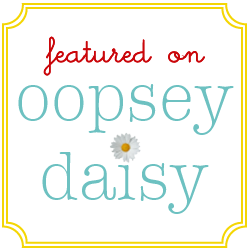 I follow Oopsey Daisy on Pinterest! I could definately use the energy boost! huh…. This is pretty neat! I had never heard about this but I am excited to try any kind of cocoa drink that is healthy for you. And I am always looking for things to try my Torani Syrups in. I think you should try them if you are looking for a way to sweeten your drink up. I am addicted to Pinterest! So of course I follow you! Left a message on the Choffy page and I follow you on Pinterest. 🙂 Just think, if I’m the winner, I can pass along the chocolately goodness to my 6 month old breastfed son and you will have 2 winners! LOL. 🙂 Thanks for the giveaway opportunity and also for the mommy school packets! My son is too young right now, but I’ve already downloaded all of the available packets! Great inspiration to add even more stuff to them and build my own. Energy boost! I need one of those right now. And Choffy sounds yummy! I can’t wait to try it. I’m following you on Pinterest now too! !